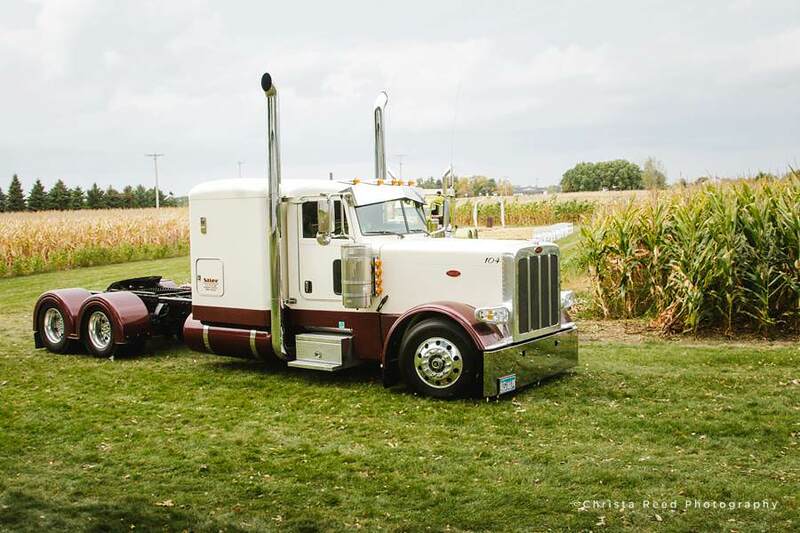 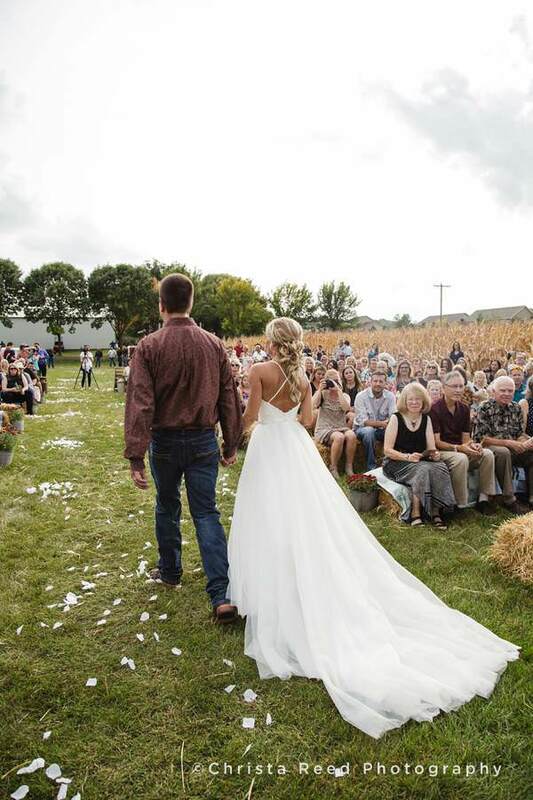 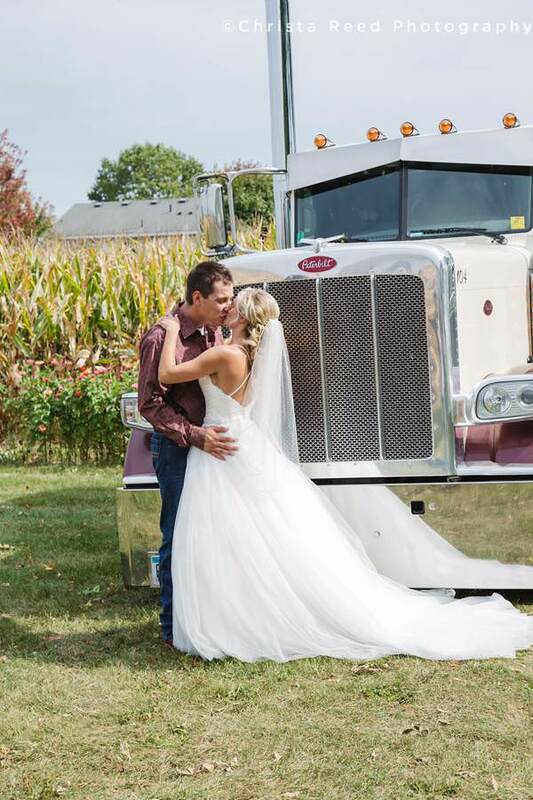 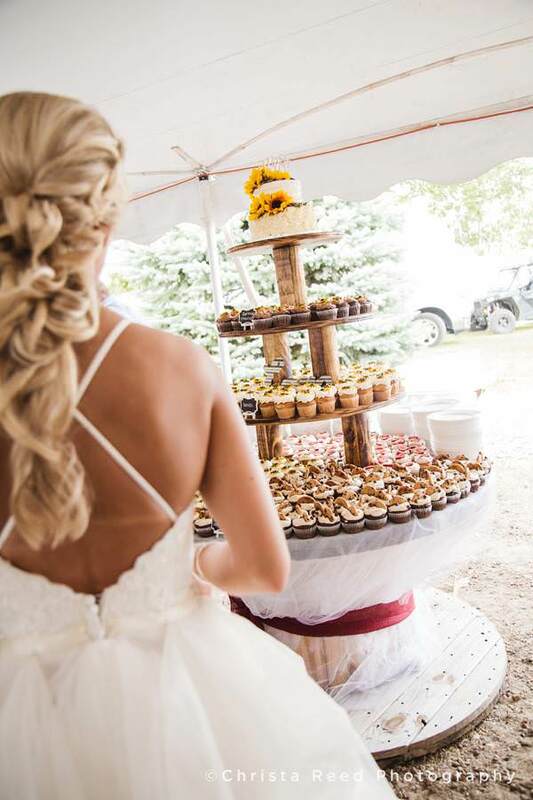 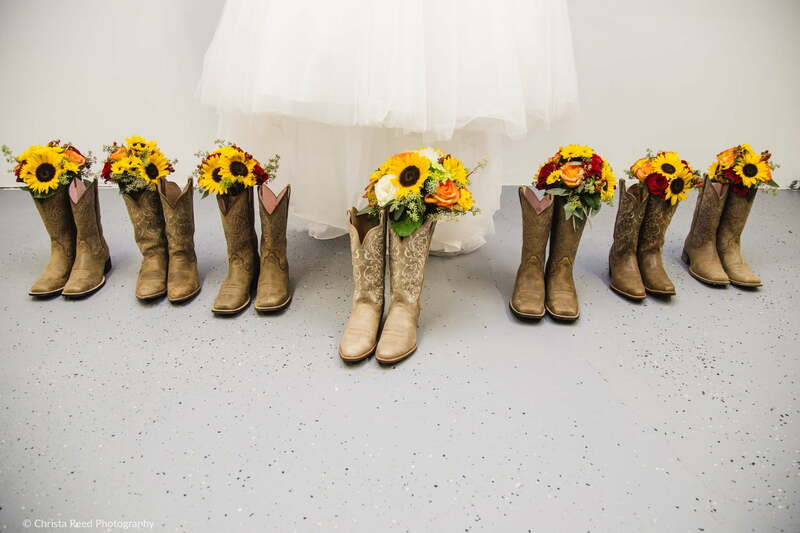 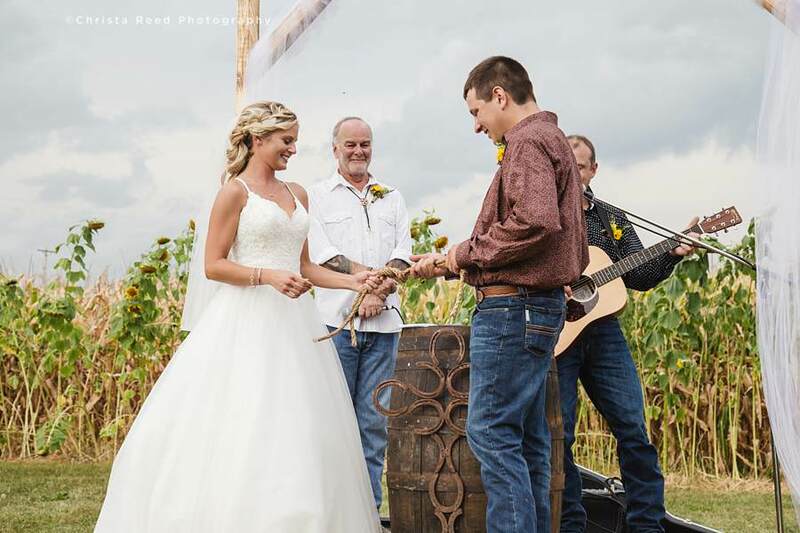 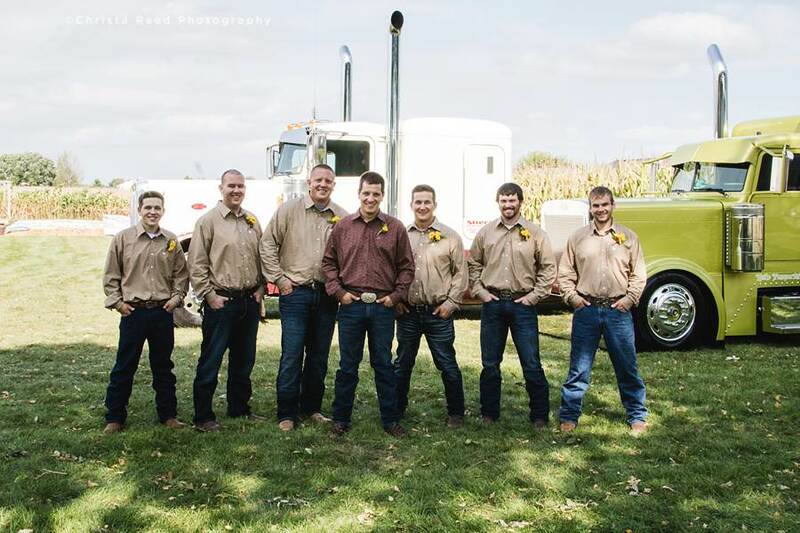 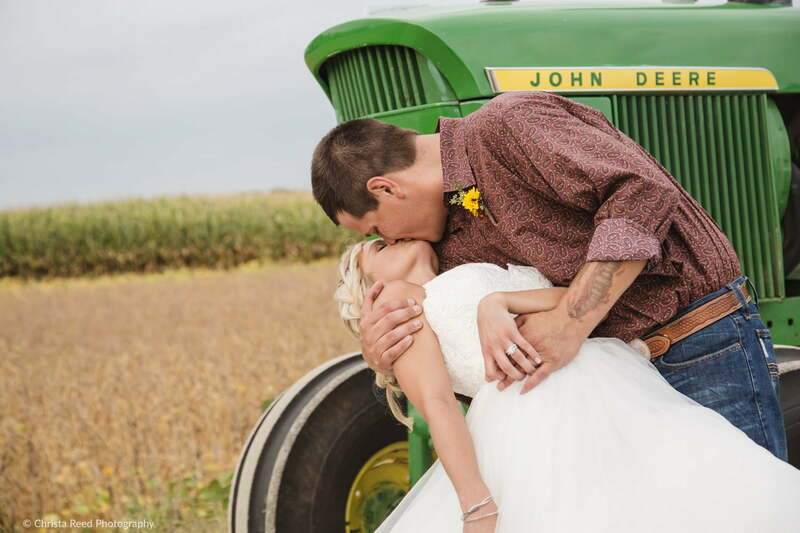 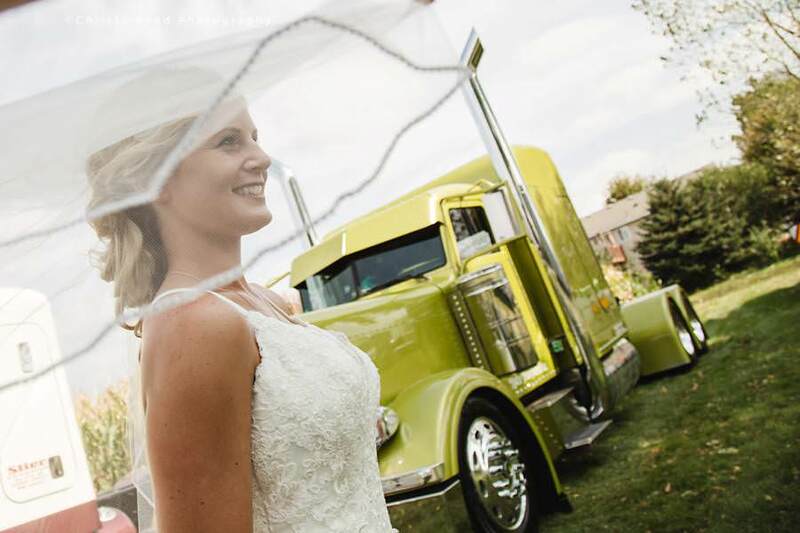 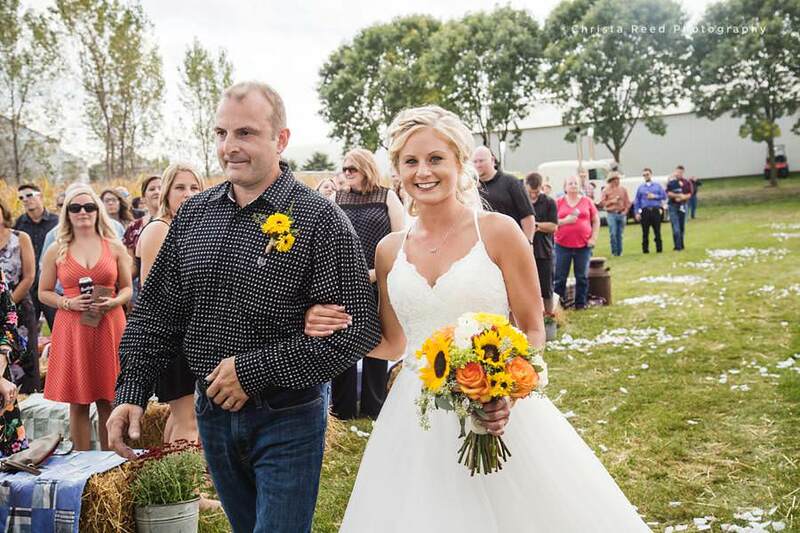 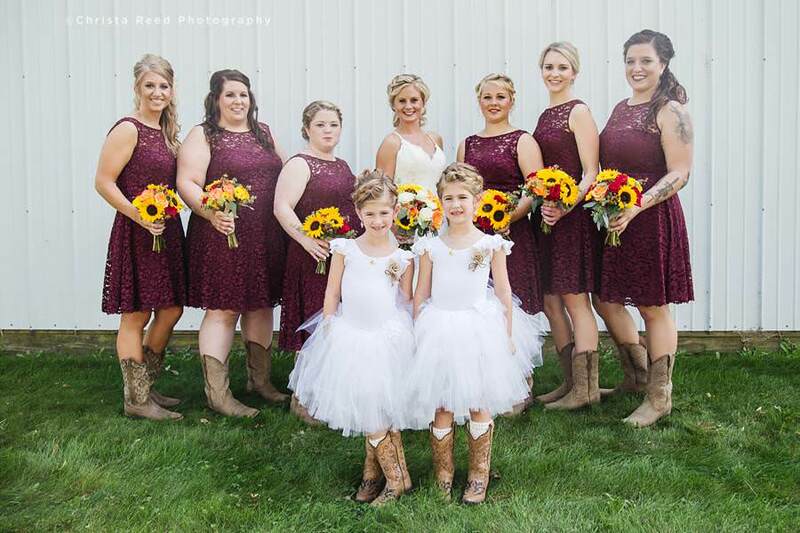 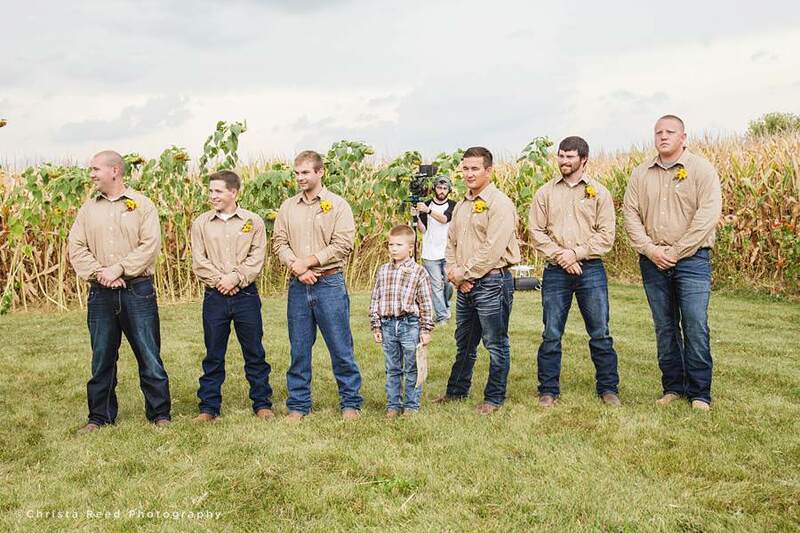 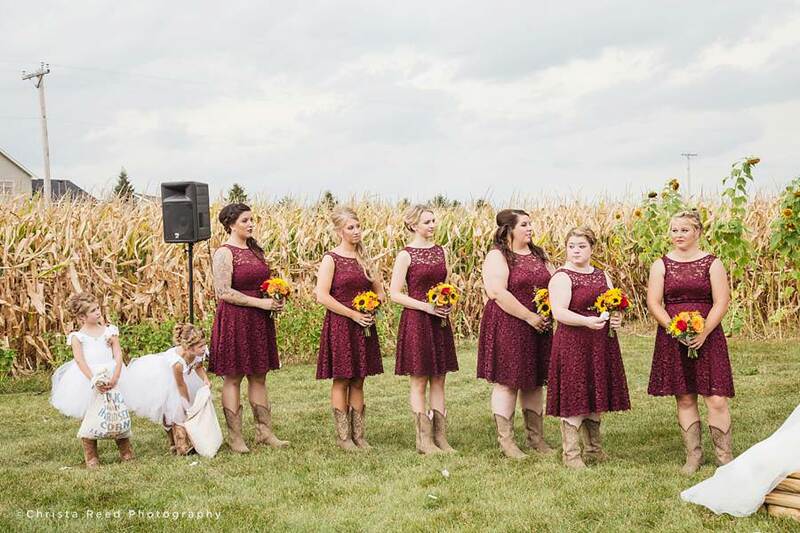 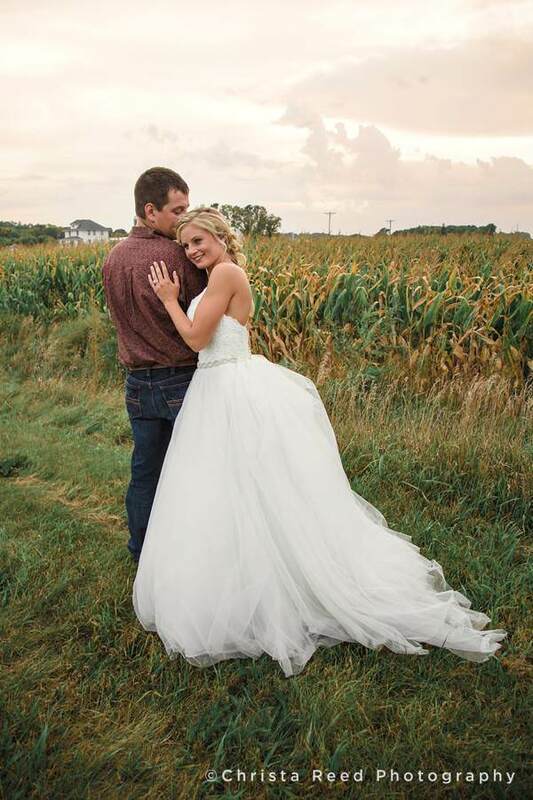 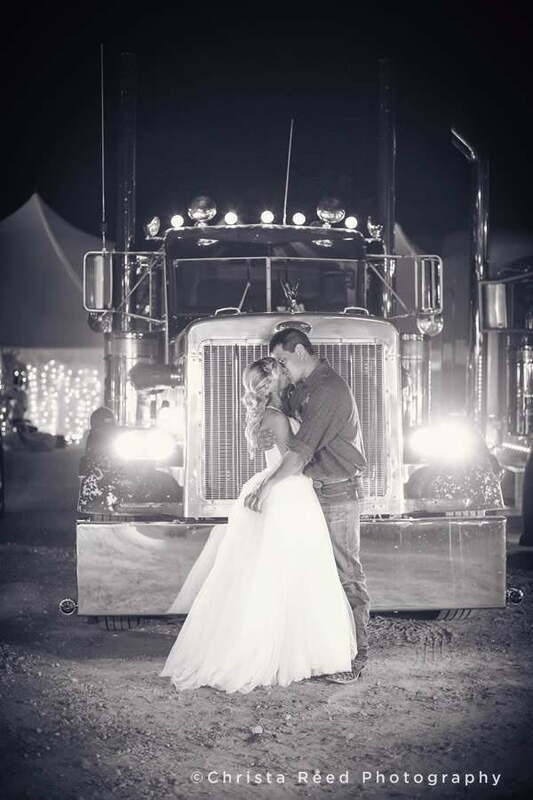 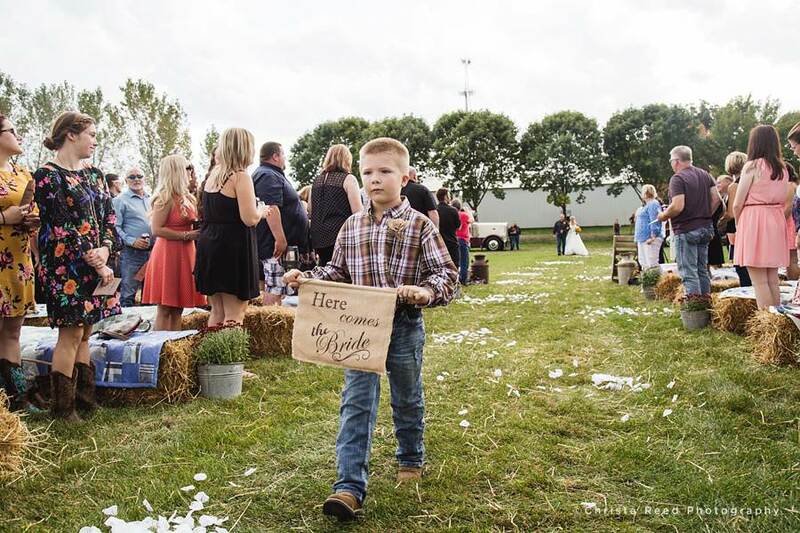 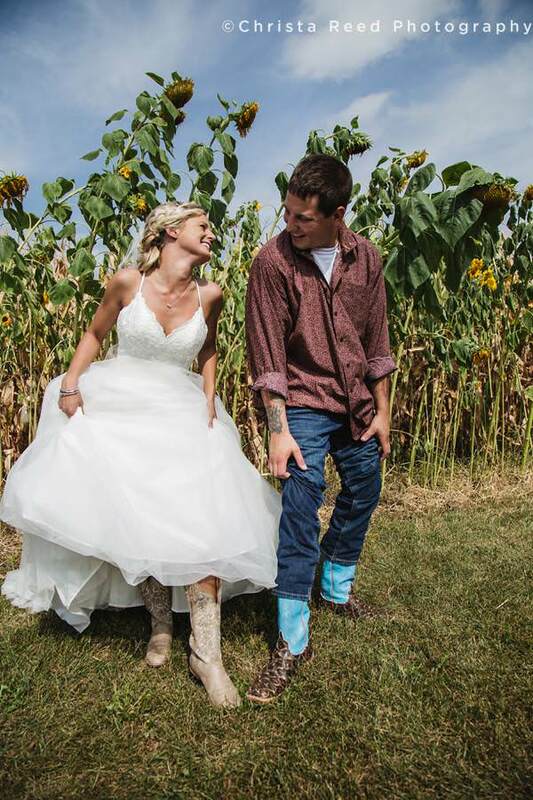 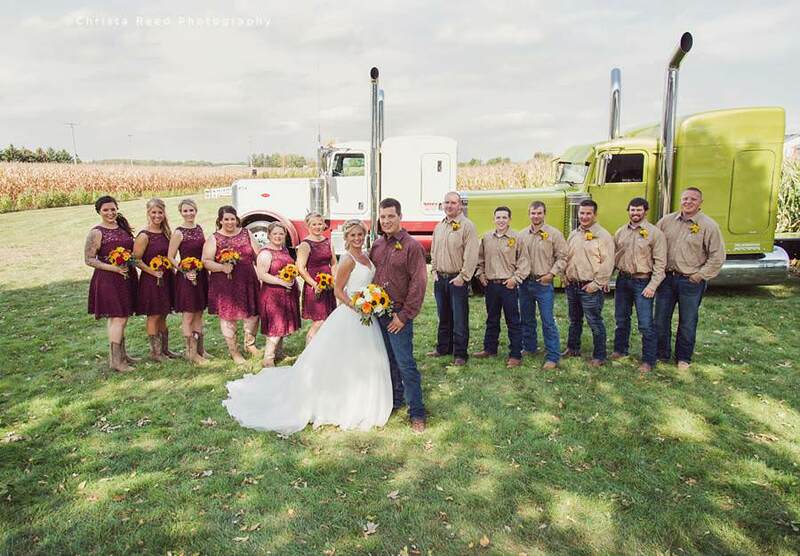 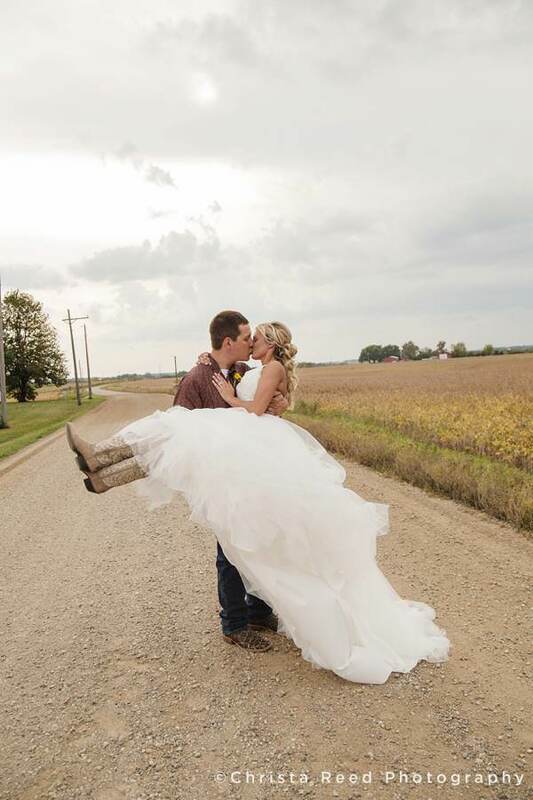 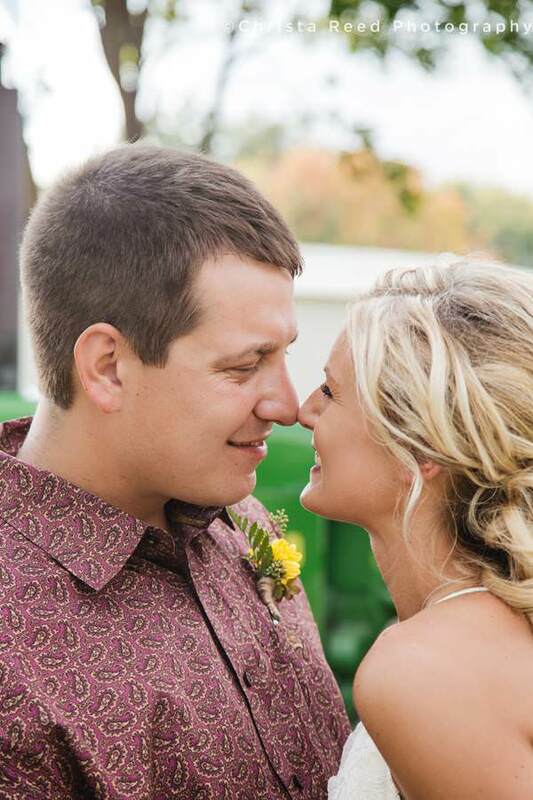 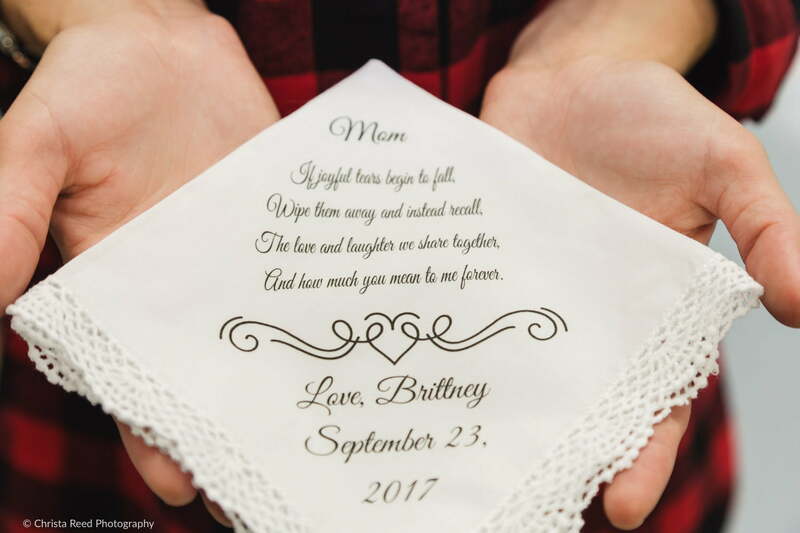 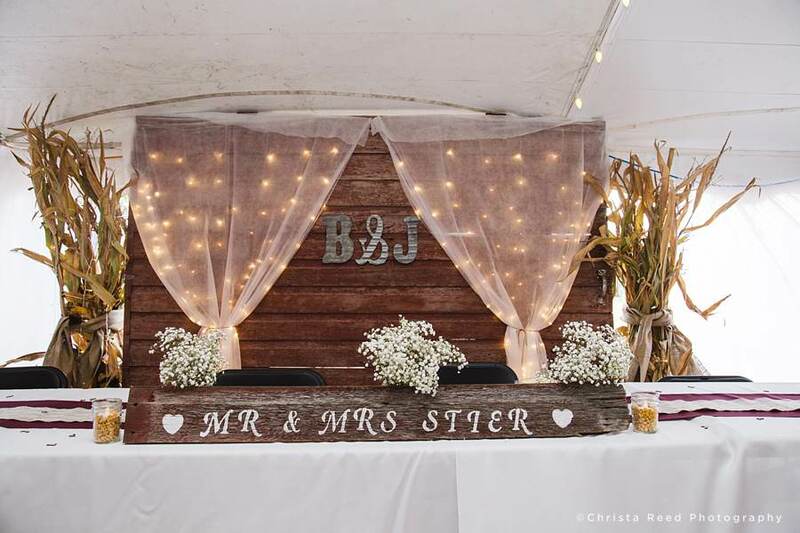 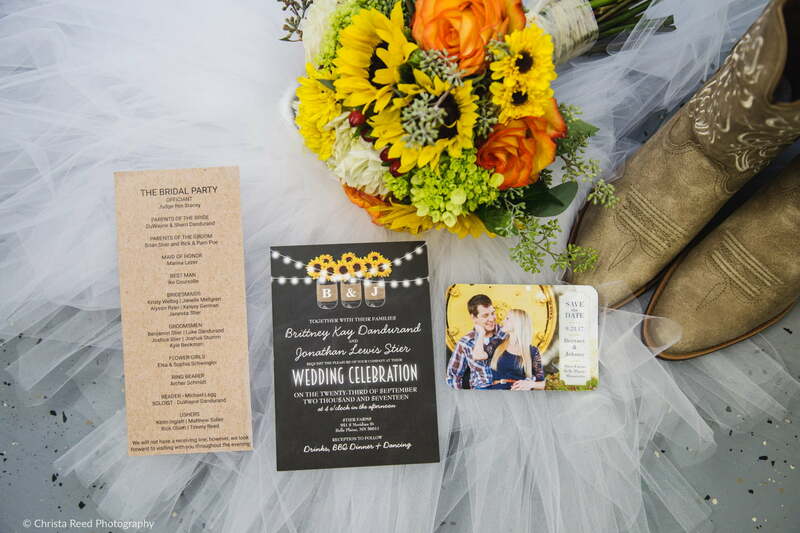 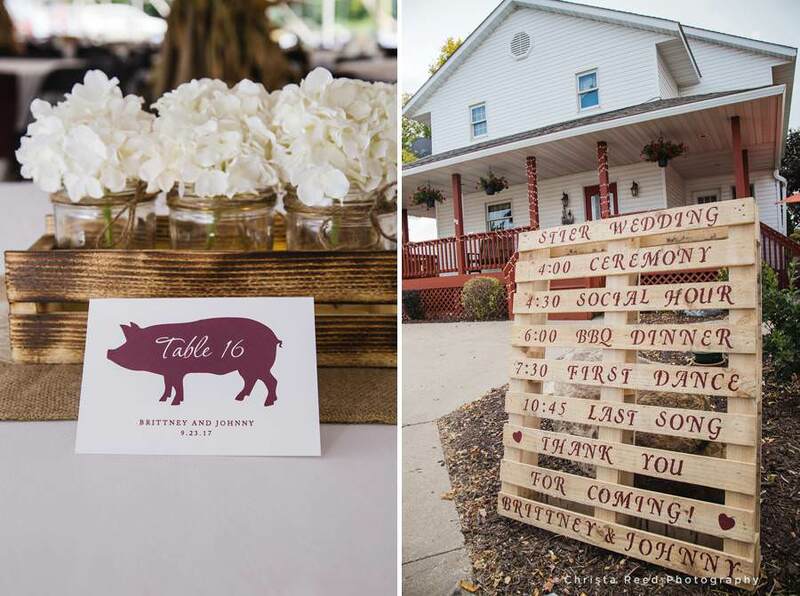 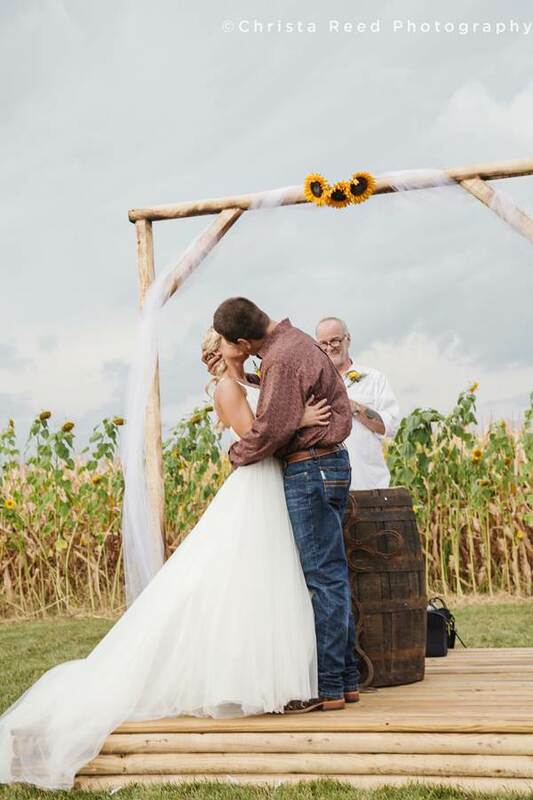 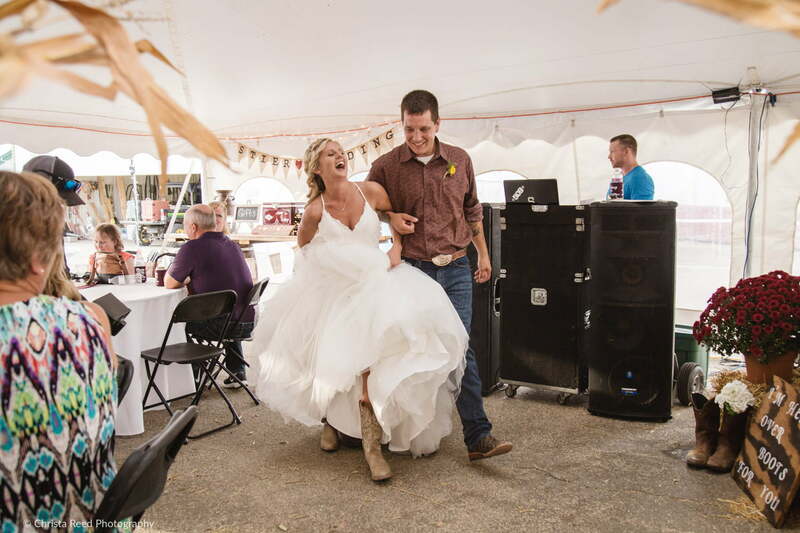 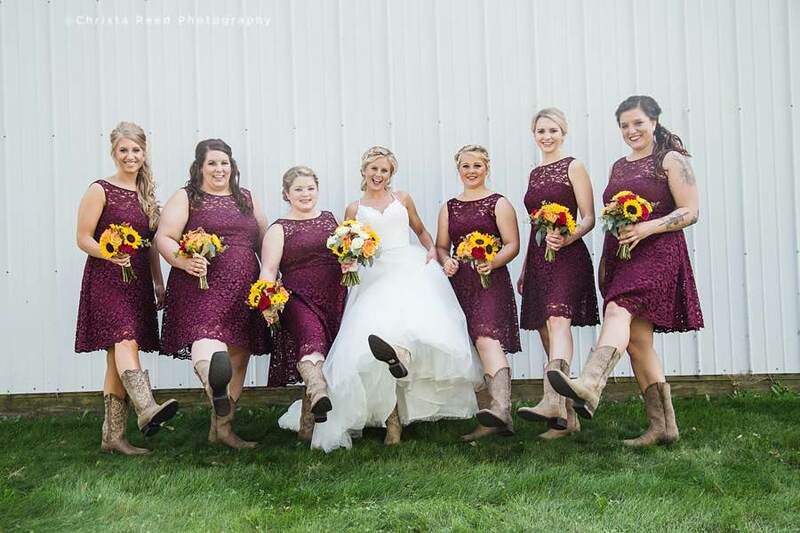 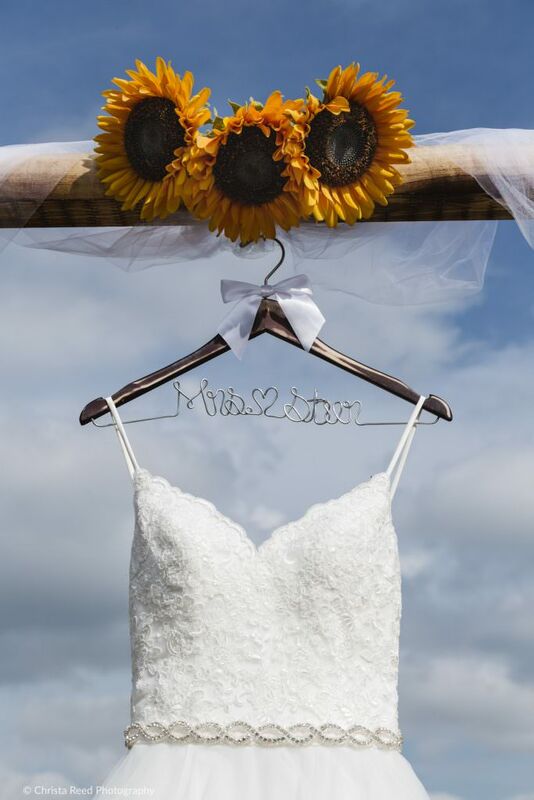 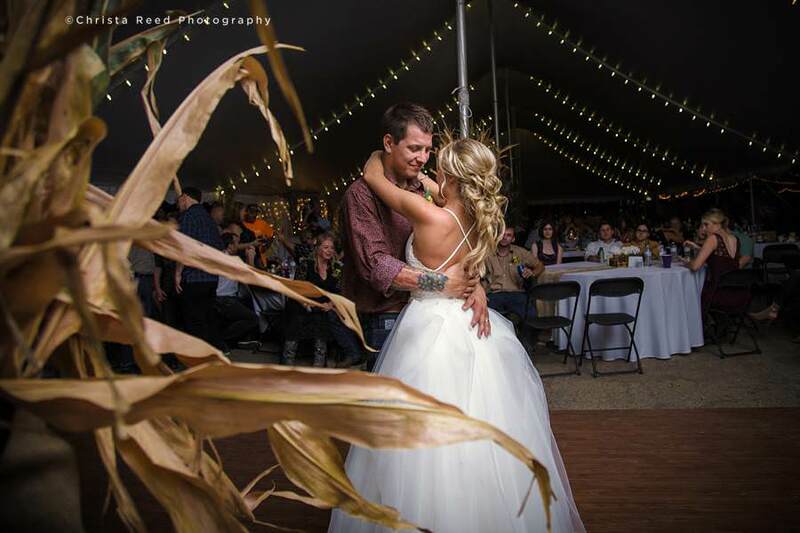 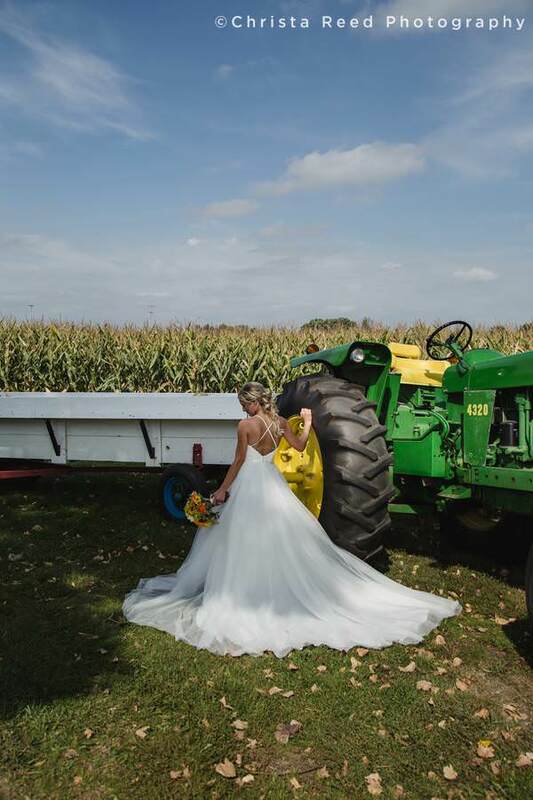 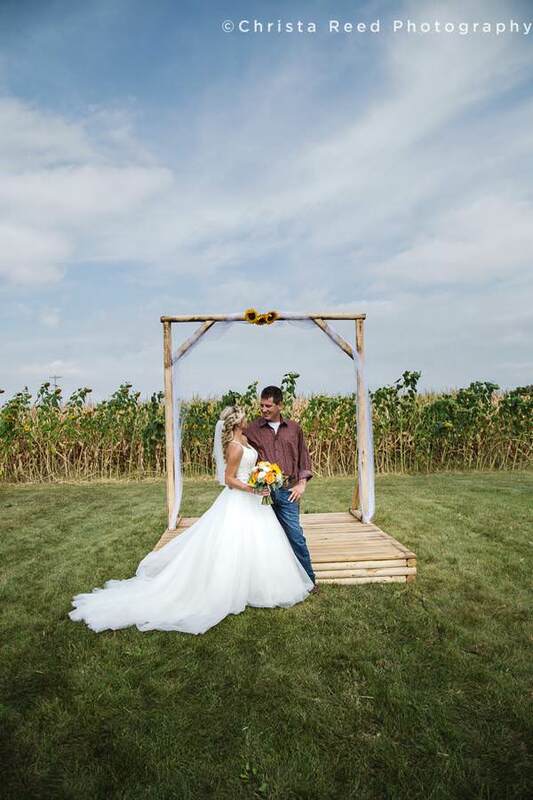 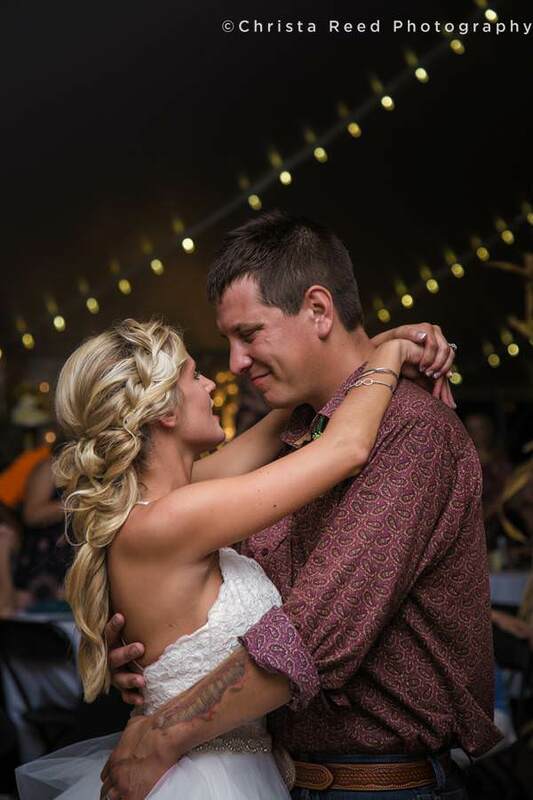 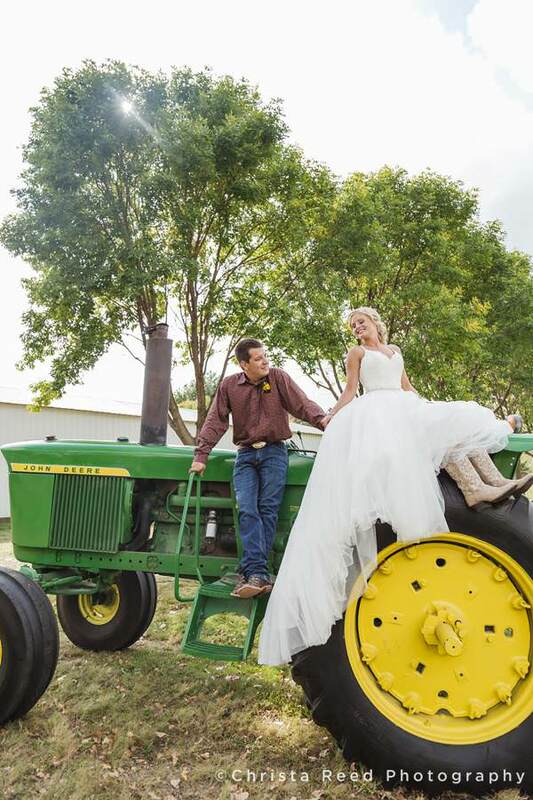 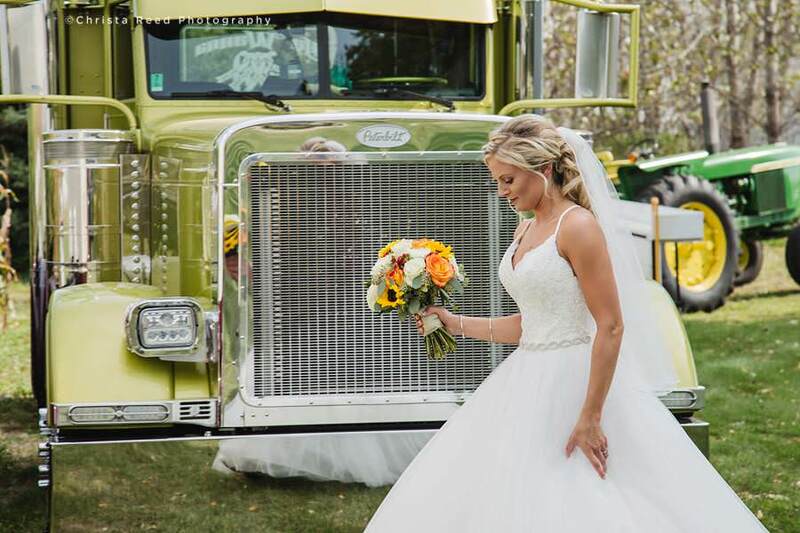 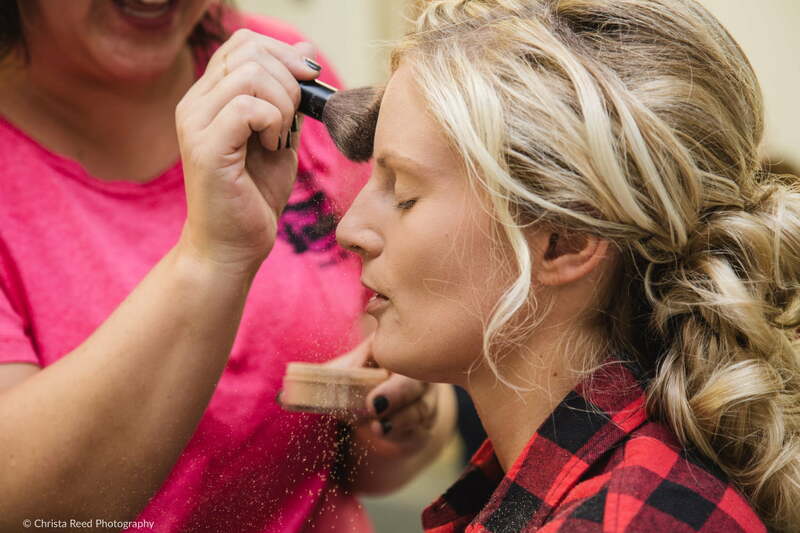 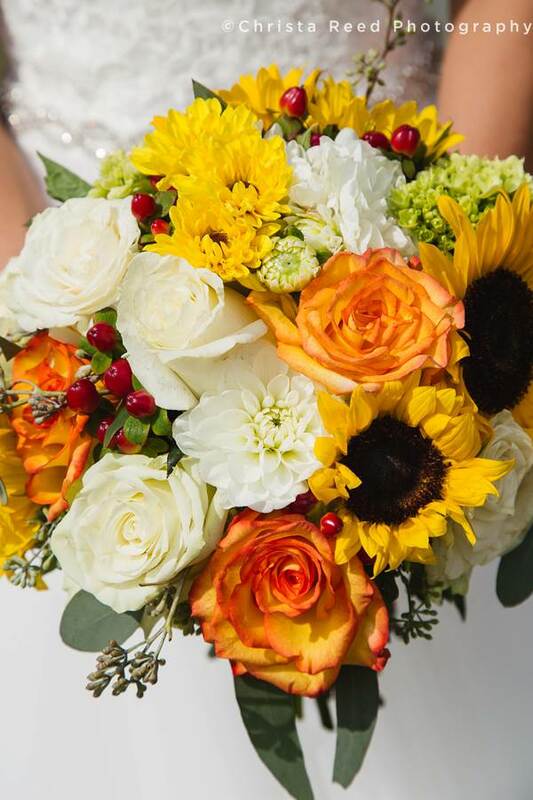 Brittney and Johnny were married in early fall at Johnny’s family farm and trucking company in Belle Plaine, Minnesota. 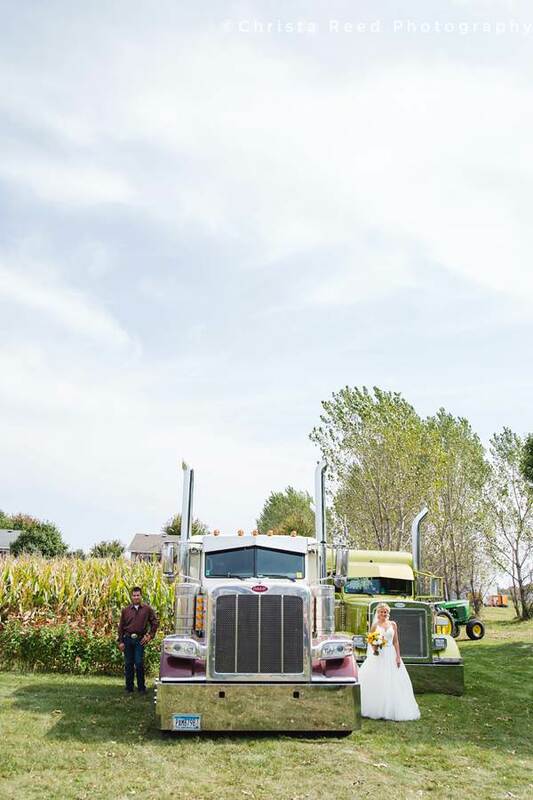 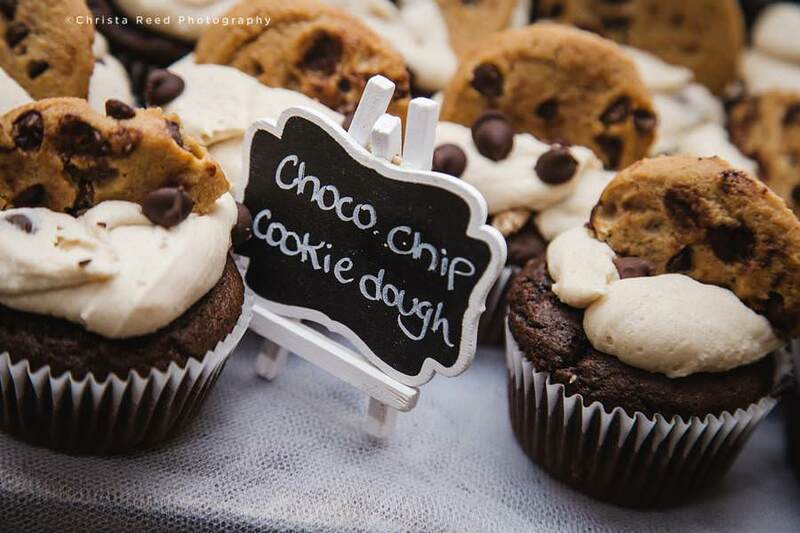 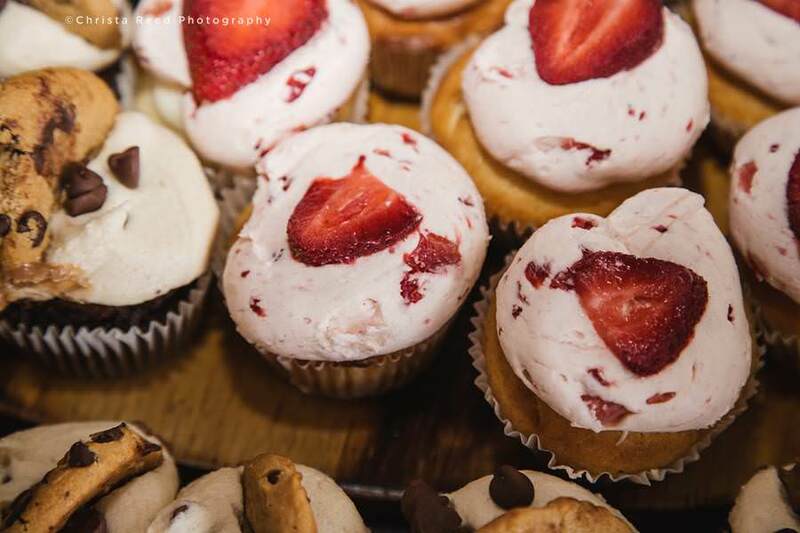 It was an amazing celebration that drew it’s inspiration from the strong farming roots of their families and town. 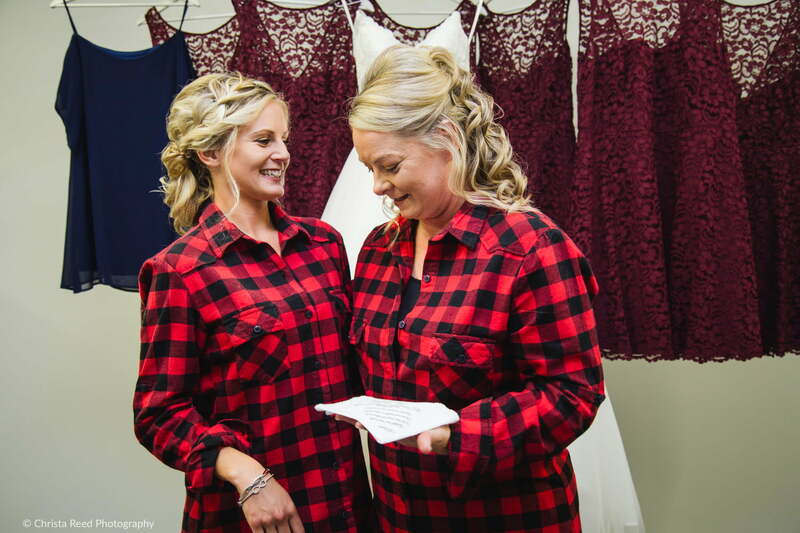 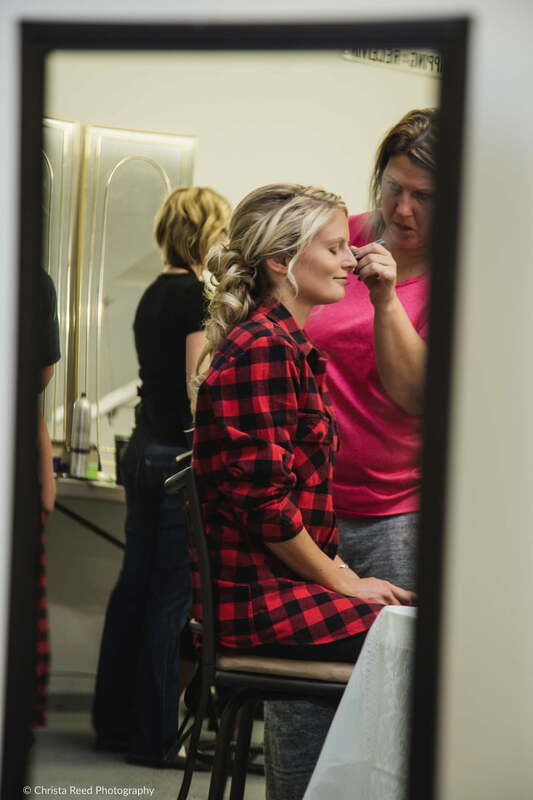 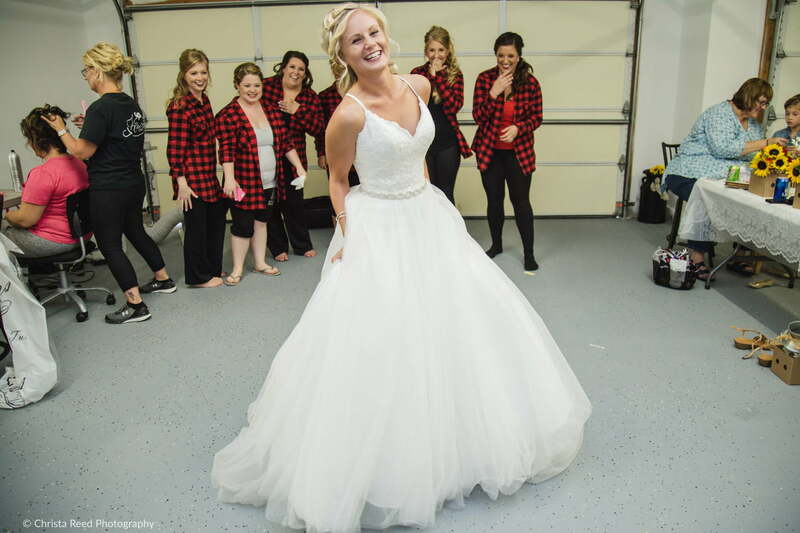 The day began getting ready with Brittany and her attendants in their matching flannels. 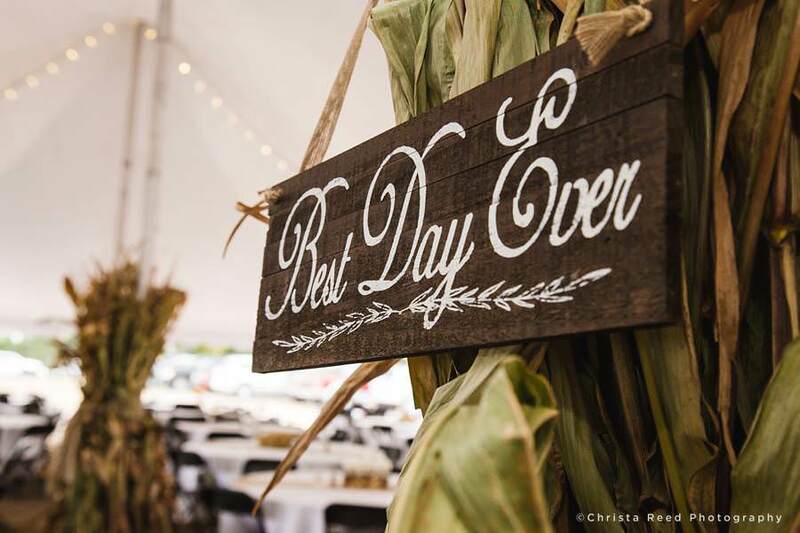 From there everything was a big celebration. 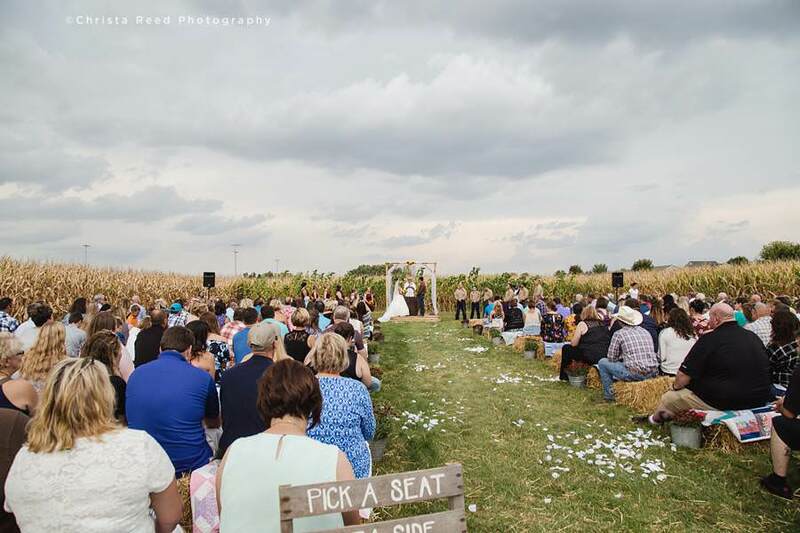 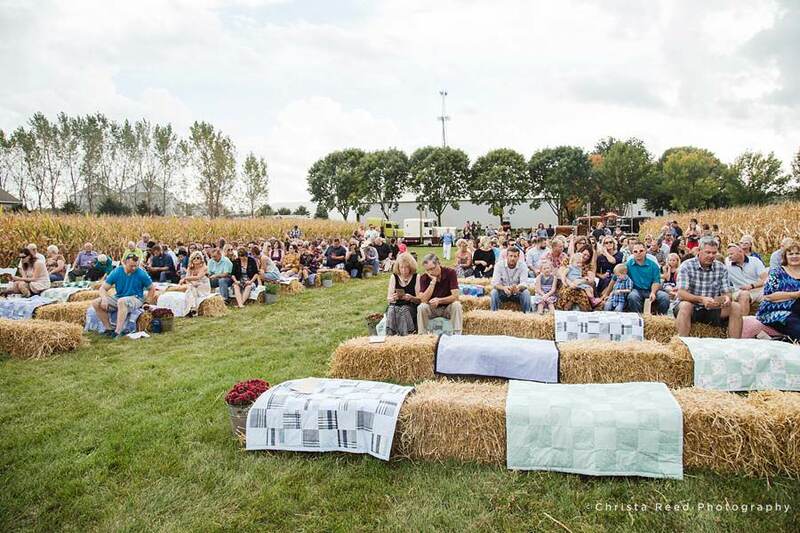 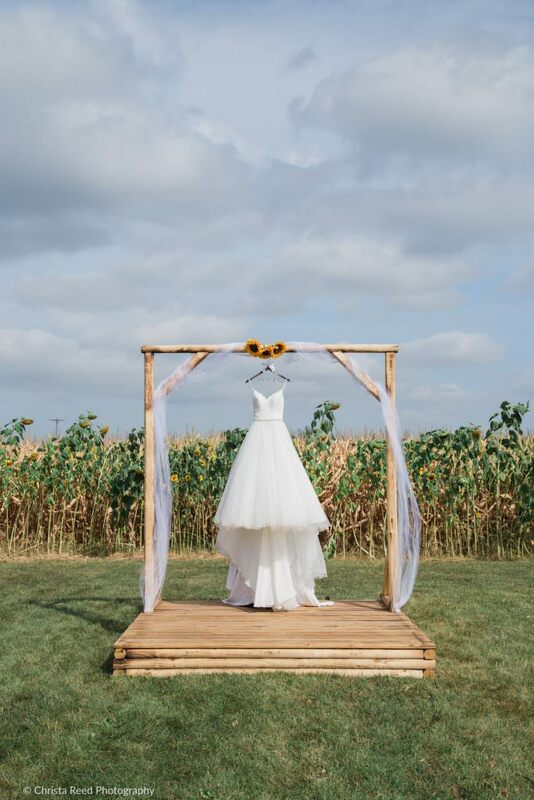 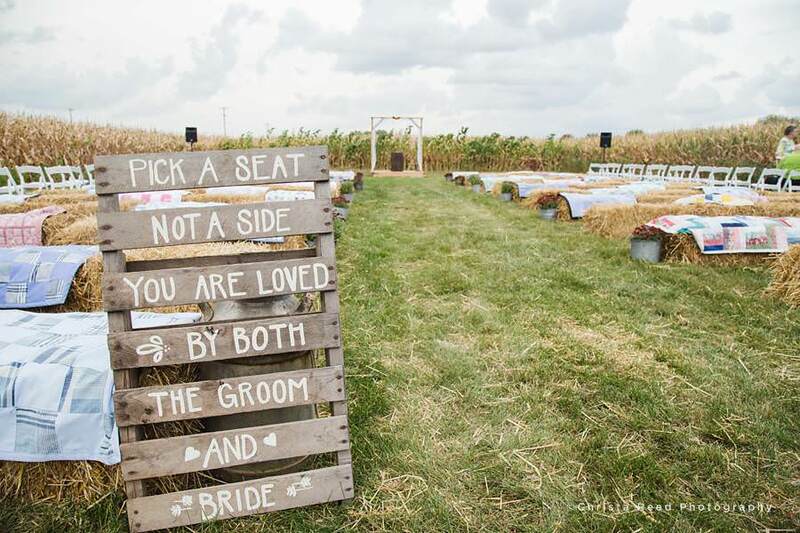 The ceremony in the cornfield was amazing. 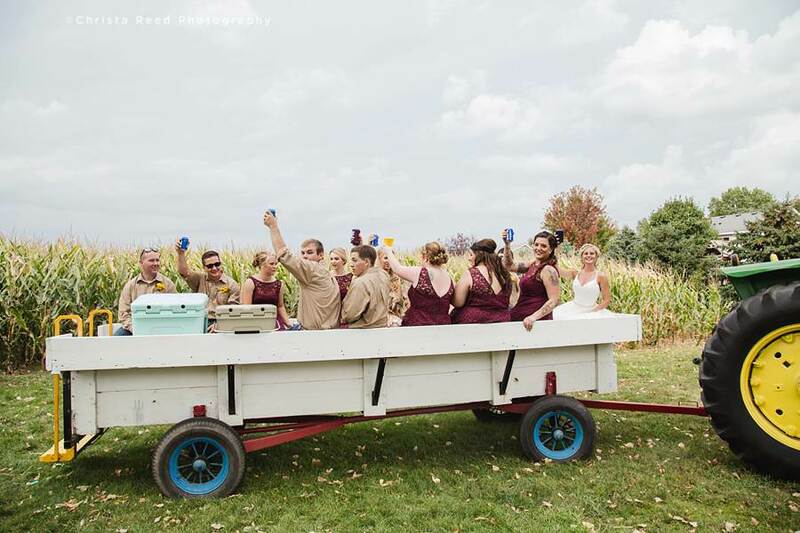 We took a party bus style tractor ride through the backroads. 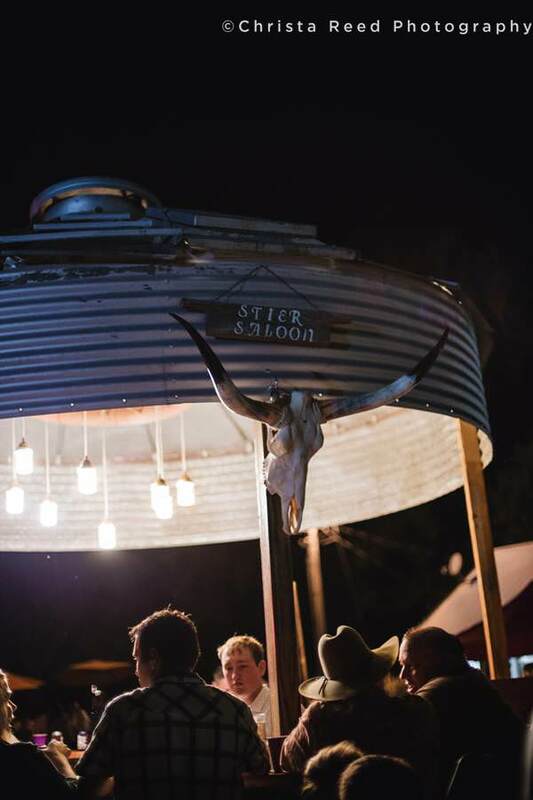 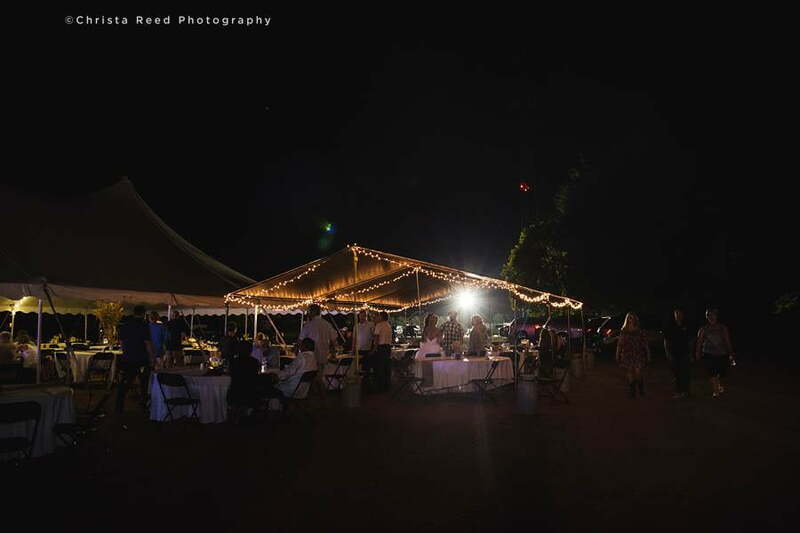 The reception in the big tent outside went late into the night, complete with Johnny and his friends lining up their semi cabs and turning on the headlights for spectacular night time wedding pictures! 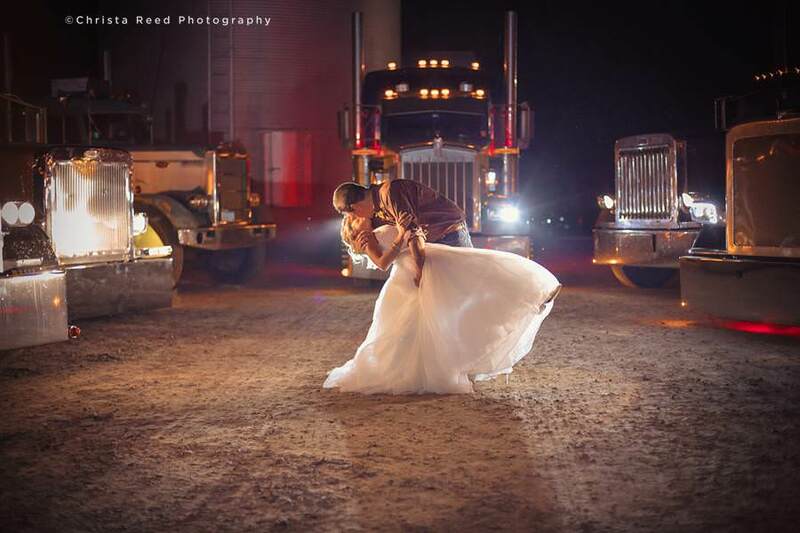 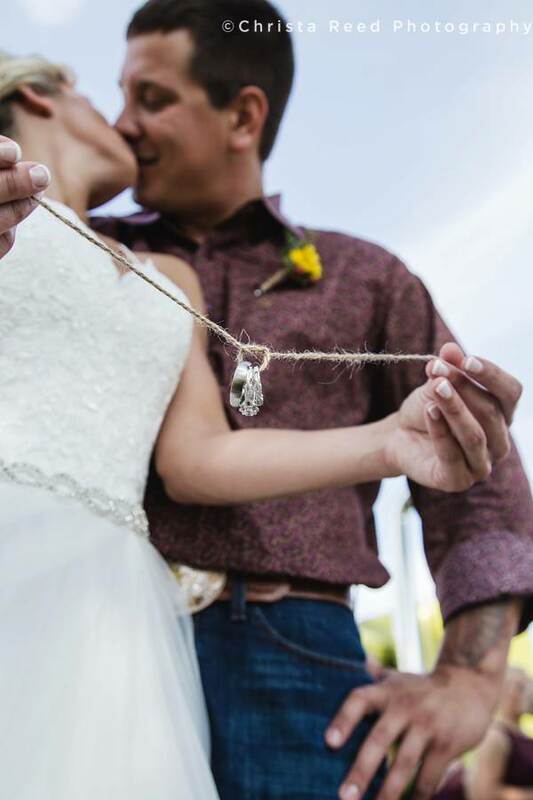 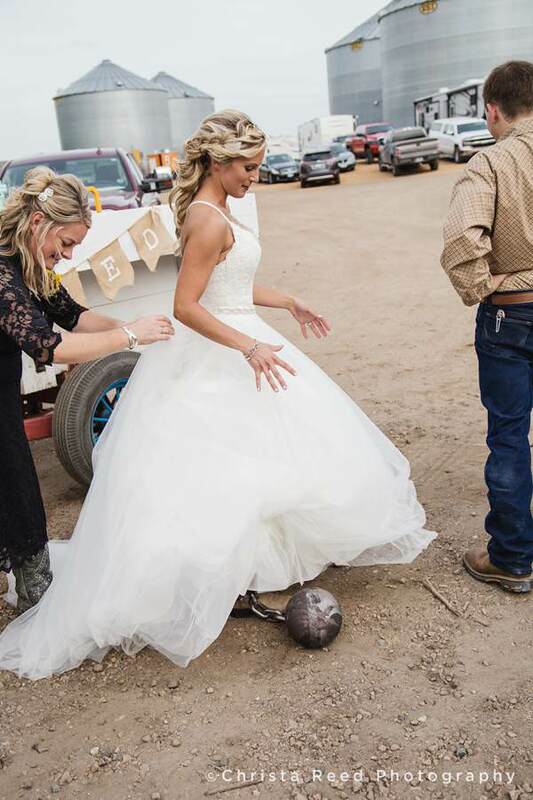 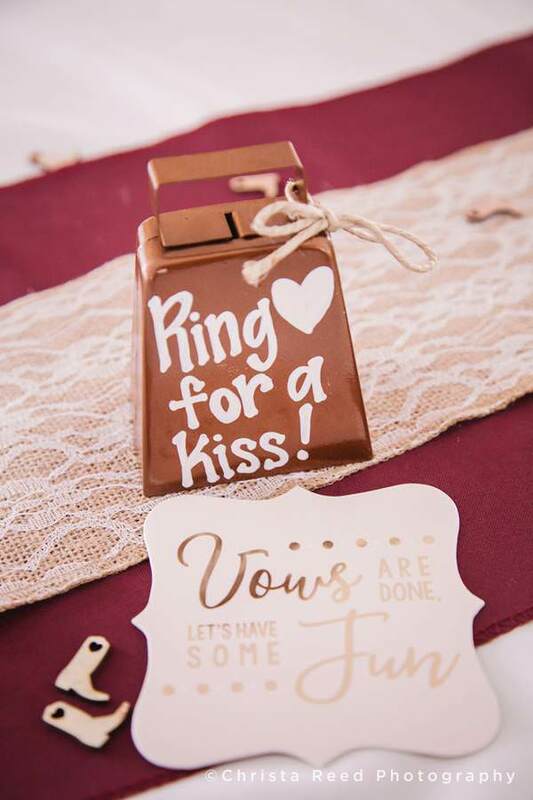 Everything about this couple’s day was fantastic! 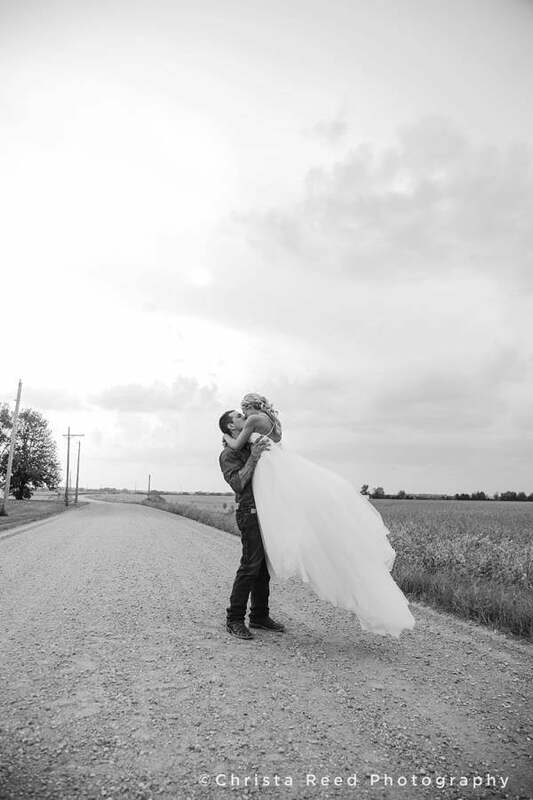 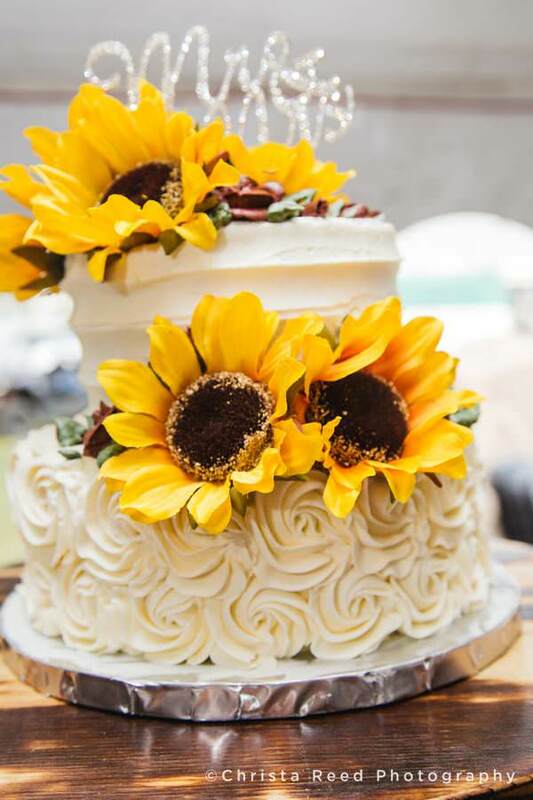 I had such a hard time picking blog photos for this wedding, I am in love with every shot, and so thankful I was invited to document this day. 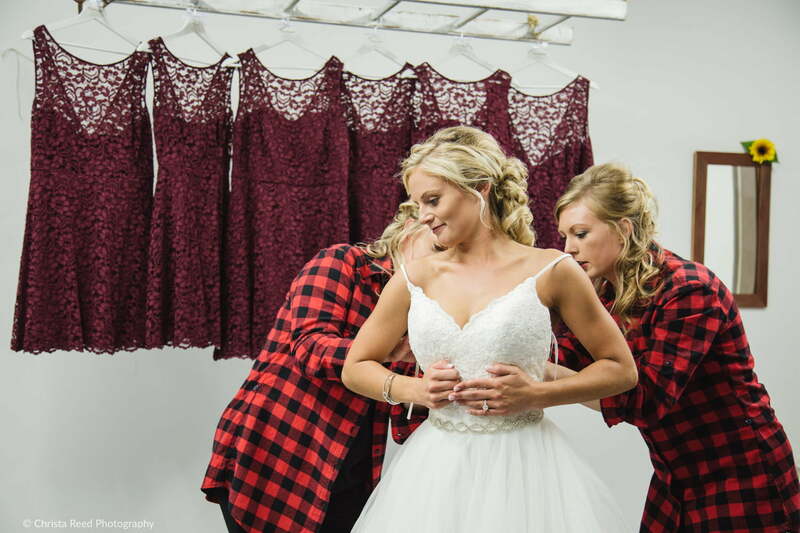 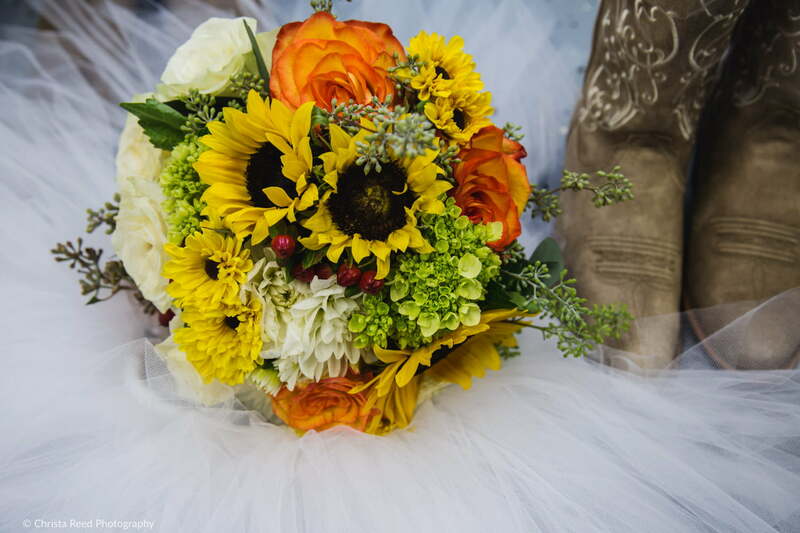 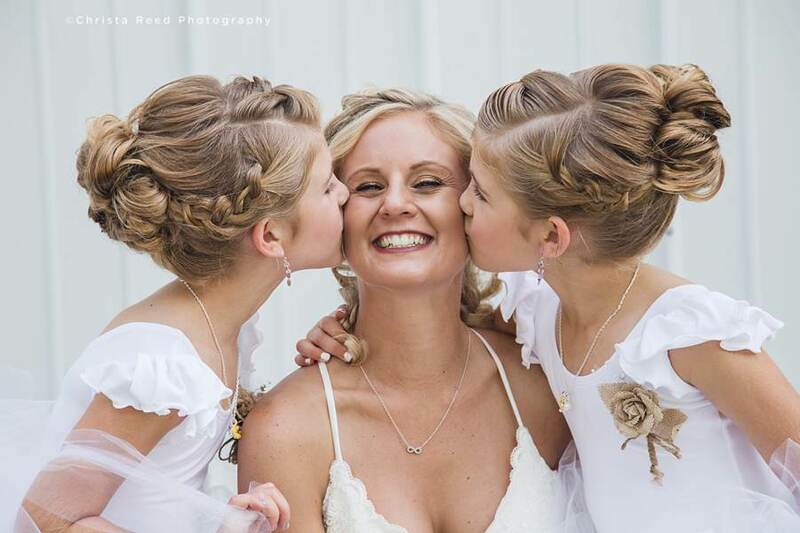 I am a wedding and portrait photographer based in Belle Plaine, Minnesota and shooting weddings through out Minnesota. 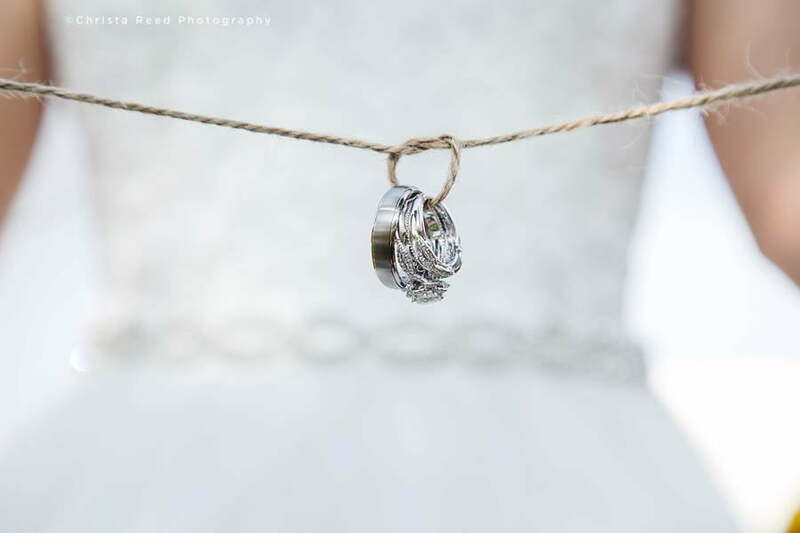 If this wedding inspires you, let’s connect and talk about your photography vision.